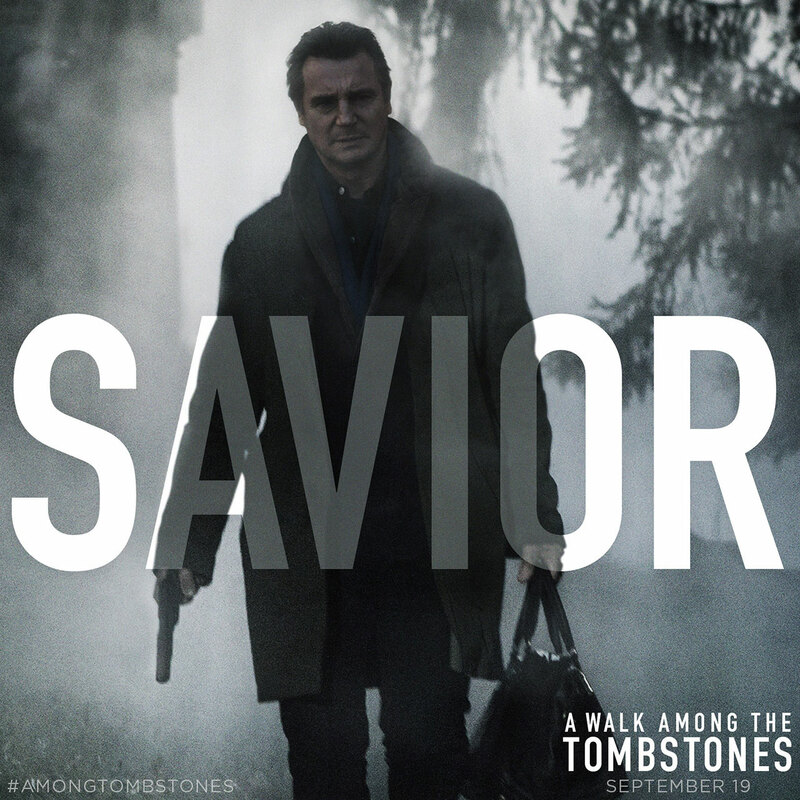 In a timely addition to the series of occasional blogs about other crime writers, allonymbooks author EJ Knight ponders the crime novels by Lawrence Block from which the imminently released film A Walk Among The Tombstones is drawn. I’ve visited New York many, many times over the years and, much as my allonymbooks stablemate Evie Woolmore found Warsaw an inspiration for her novel Rising Up, so my slow wanderings around one of the world’s great cities inspired me in my writing. But unlike Evie, the majority of my visits to New York have not been by plane, car or train. They have been in the pedestrianised byways of my imagination, walking slowly, patiently, doggedly in the long shadow cast by Matt Scudder. For while the upcoming adaptation of Lawrence Block’s tenth Scudder novel is being widely praised already for Liam Neeson’s portrayal of Block’s complex ex-cop, for me the Scudder books feature another powerful and dominating character: New York City. Cities are notoriously as fickle as unfaithful lovers, as sparklingly delightful in summer sun as they can be menacing and unpredictable as the winter twilight encroaches. Yet New York is a faithful mistress to Scudder, much like Elaine, his ex-prostitute girlfriend. She knows him well, her constant presence a reassurance, even if he must share her from time to time with strangers. If man’s inhumanity to man continues to etch deeper marks in Scudder, if – despite all that he has seen and learned of the victims he helps – he still strives to take everything in his stride, it is not the city that will let him down, desert him, shock or betray him. Indeed, while Scudder rarely comments objectively on New York, Block’s characterisations of its inhabitants – racially and culturally diverse, corrupt and noble, timeless and rudely modern, drunk and sober – are New York as much as the basements of churches, the diners and bars, the streets of the Village and the hotel room on the 50s Scudder inhabits. Likewise, Scudder lives around the clock of the twenty-four hour city, as able to assume the respectable routines of the worker bees as he is to sit out the small, dark hours in bars where the truth glistens deep in a glass of honey-coloured bourbon. He is both constantly Scudder and compellingly desperate not to be him any more. And if New York is a city where one can be anyone one wishes to be, then Scudder’s strength is his silent empathy with the victims who surely wish this had not happened to them. For Scudder is, it seems to me, in pursuit of the restoration of equilibrium. Nothing can alter the path taken by the wayward bullet that killed Estrellita Rivera. And if in solving the crimes he is not in pursuit of justice as such, then he is certainly watching both sides of the scales, minutely and patiently adjusting and arranging the weight of consequence that will restore some sense of balance to those destabilised by the crimes that happen to them. Over the course of the series of books, Scudder’s own scales are eventually quietly and minutely adjusted by those close to him: Elaine, TJ, Jim Faber. And if the ground beneath him creaks and stirs much as it does when the A Train rattles through columns of steel, then it soon settles again. EJ Knight is the author of Broadway Murder of 1928, available for Kindle from all Amazon sites. A review of AWATT will appear shortly on this blog. In the meantime, check out Cadell Blackstock’s consideration of the pluses and pitfalls of adapting Scudder to the screen. This entry was posted in books, Crime Fiction, EJ Knight, In Admiration Of..., Writing and tagged A Walk among the Tombstones, AWATT, crime fiction, EJ Knight, film, Lawrence Block, Matt Scudder, New York City, novel, series. Bookmark the permalink.